Acacia Cadogan was born and raised in Brooklyn, NY, though her family descends from the caribbean islands, St. Lucia and Trinidad & Tobago. 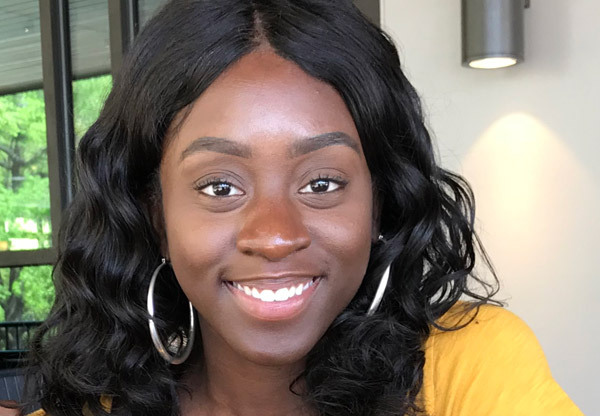 Always having a keen interest in reading and writing, Acacia left her hometown to study mass communications at Shaw University in Raleigh, North Carolina and obtained her degree in 2017. At the peak of the Black Lives Matter movement, Acacia successfully orchestrated a campus effort to bring back the historic civil rights organization, the Student Non-violent Coordinating Committee (SNCC), which was actually originally founded at Shaw University. She was also apart of several other student-led organizations, including the Honors College, My Black is Beautiful- Women Empowerment, the Student Government Association, and the National Honor Society of Leadership & Success. While in school, Acacia also had the opportunity to partake in extensive internship programs with Johnson & Johnson Pharmaceuticals, WSHA 88.9 FM, and WakeUP Wake County. After college, Acacia leaned towards the path of advocacy and found interest in using her communications skills to portray a meaningful message and give a voice to the voiceless. She continued her work with WakeUP Wake County, where she focused not only on outreach and communications, but on advancing issues dealing with growth, like affordable housing, water quality, public schools, and public transit. As a personal advocate for public transit, Acacia sits on GoTriangle's Citizen's Advisory Committee. In her spare time, she enjoy books, yoga, and chai lattes.